This isn’t a book that requires any introduction, at least in terms of the furore and controversy surrounding it. I’d probably heard of Rushdie before I started to read for myself, such is the reputation which precedes this book. The title has been sitting at the back of my mind for a long time, so when I saw it on a bookshelf figured it was about time to dip into it. Some years ago, whilst taking part in a brief course on the history of modern India, I picked up Rushdie’s Midnight’s Children and thoroughly enjoyed it. The style was lucid, inspiring, at times witty, the plot meaningful, its events engaging and powerfully written. 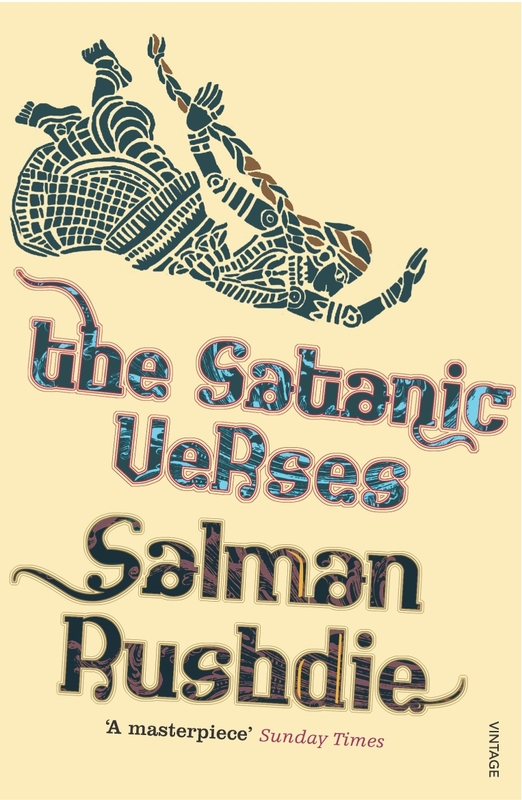 Unfortunately, The Satanic Verses is in comparison an utter disappointment. The book is simply difficult to like, try as one might. Rushdie’s writing, despite still being very imaginative, colourful, even amusing, is for the most part unnecessarily convoluted. The book’s plot is divided into various threads spanning time, space and reality, with enough levels, characters and subplots that the reader has to pay extreme attention not to become lost. Some of the characters go under different names, or names are shared among different characters, while the main characters undergo enough physical alterations, that trying to juggle the figures in your imagination becomes a feat in and of itself. Written style aside, should you find yourself able to understand Rushdie’s message–and thanks to the written style it’s easy not to ‘get’–I simply can’t find very much worth recommending. If you are looking for examples of novels centred on the interplay of good and evil, issues of identity or multiculturalism, the parody of religion, or even merely novels featuring magic realism, there are simply so many better, easier, and more enjoyable works available, even from Rushdie’s own pen, that this work wouldn’t get a look in. As other reviewers have said, were it not for the fatwa this book should probably have disappeared off most people’s radars without much word of comment. That it didn’t is unfortunate, since I don’t think this book particularly lends itself to many people, yet so many pick it up to find out what all the fuss was about. It is a frustrating and convoluted read, and while there are beautiful and intriguing passages which reminded me of what made Midnight’s Children so enthralling, these are ultimately pretty small fish for sieving through 500 other pages of nigh-on impenetrable packaging.